Sept. 7, 2016, 2:31 p.m. Probably a few adapters and a little more hassle for some. By Joseph Lichterman @ylichterman Sept. 7, 2016, 2:31 p.m.
Much of the news coverage leading up to today’s Apple event has been centered on the company’s decision to eliminate the headphone jack in the latest iteration of the iPhone. There’s been debate, there’s been outrage, and there’ve been plenty of stories advising users on the best Lightning or Bluetooth headphones to buy, or how to make your current headphones work with an adapter. For journalists, however, the iPhone has for years been a full-fledged reporting device — a voice recorder, camera, video camera, and publishing platform, all in one — and the elimination of the headphone jack might force some of them to buy new equipment or change the tools they use. Most external microphones or convertors that allow microphones to work with the iPhone connect through the headphone jack, and the shutter on many selfie sticks is also controlled through via the headphone jack. “I’m not panicking,” said Neal Augenstein, a reporter with WTOP in Washington, D.C. when we spoke this morning before the Apple event. Augenstein has exclusively used his iPhone to report from the field since 2010. If journalists don’t want to bother with using an adapter to make their old equipment work with the Lightning port, there are already a number devices that allow users to connect a microphone to their iPhone with a Lightning cable, Augenstein said. Without a headphone jack, however, reporters may not be able to monitor their audio as they’re recording. Still, he said most listeners won’t notice a difference between audio recorded with a microphone connected via the analog headphone jack or the Lightning port. “The sound quality bringing a microphone into the headphone jack versus the digital lightning jack is not a difference that I can hear with my basic ear,” he said. In a post last year, Martin Skaheshaft, a journalism lecturer based in the U.K., reviewed the iRig Pro, a popular Lightning-connected microphone connector. “Sound quality is excellent with a good microphone,” Shakeshaft wrote, but he noted that the Lightning connector is costly and physically bigger than an analog convertor that works with the headphone jack. @ErikNaso @rodemics yes those will work, but it won't be as nifty as simply plugging in the mic. It’s safe to say though that most reporters won’t have to change their news gathering practices. If you look at any photo of reporters interviewing a source or working at a press conference you’ll notice that journalists primarily use the built-in microphones on their iPhones to record, and generally the quality of the the iPhone microphone is good enough for journalistic purposes — in particular if you’re not planning on publishing the audio to readers. Photo illustration based on photo of the iPhone 6S (with headphone jacks) by Karlis Dambrans, used under a Creative Commons license. POSTED Sept. 7, 2016, 2:31 p.m.
Lichterman, Joseph. "Apple is eliminating the headphone jack on the new iPhone. What does that mean for reporters?." Nieman Journalism Lab. Nieman Foundation for Journalism at Harvard, 7 Sep. 2016. Web. 23 Apr. 2019. Lichterman, Joseph. "Apple is eliminating the headphone jack on the new iPhone. What does that mean for reporters?." Nieman Journalism Lab. Last modified September 7, 2016. 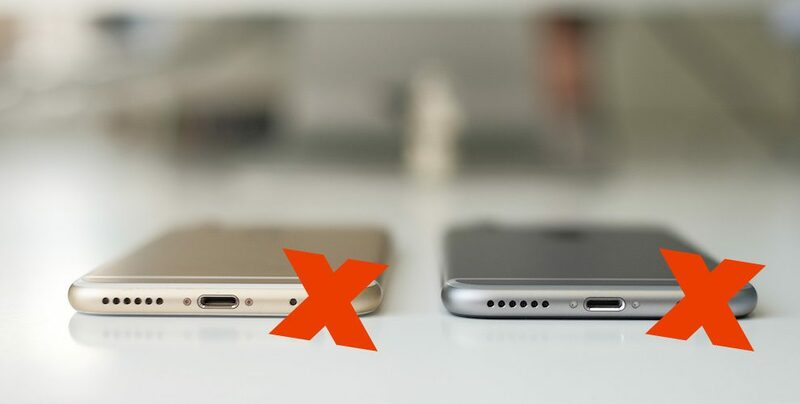 Accessed April 23, 2019. https://www.niemanlab.org/2016/09/apple-is-eliminating-the-headphone-jack-on-the-new-iphone-what-does-that-mean-for-reporters/. | title = Apple is eliminating the headphone jack on the new iPhone. What does that mean for reporters?